Wightscape offer a professional and friendly local service covering all of the Isle of Wight. We are based in Niton and pride ourselves on great customer service and making sure that every job meets our high standards. We are fully insured and are licensed by the Environment Agency to carry waste. Please click on the links below to find more information and samples of our work. Decking provides one of the most effective and flexible methods of creating a stunning entertainment area in your garden. 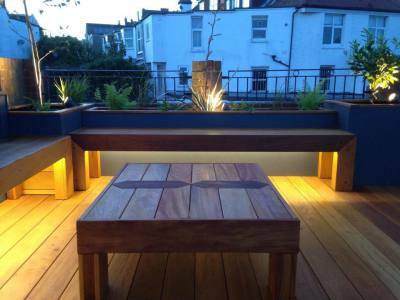 We can install decking to suit any area of your garden as decking is not constrained by ground levels. Click to see our previous works includng composite decking. We like to carry out both the design and installation from start to finish. This simplifies the entire process which allows you as the customer and us as the designers to tweak and suggest ideas as they develop through installation. Follow our latest project- the cottage garden theme is working well with this project. 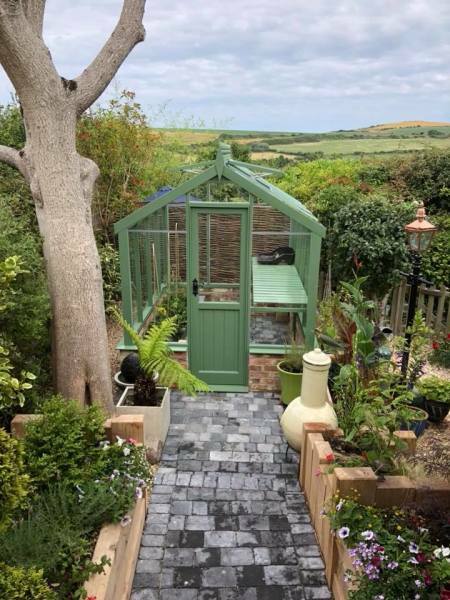 Reclaimed brick compliments the greenhouse in olive green. Raised Oak planters and cobble paving inside and out gives this small area lots of interest and texture. The cast iron lampost and copper lantern give a golden glow combined with spot uplighting.